Tim studied Architecture at Newcastle University and the Glasgow School of Art, before qualifying as an Architect in 1998. He joined Hopkins Architects as a Project Architect in May 2018. 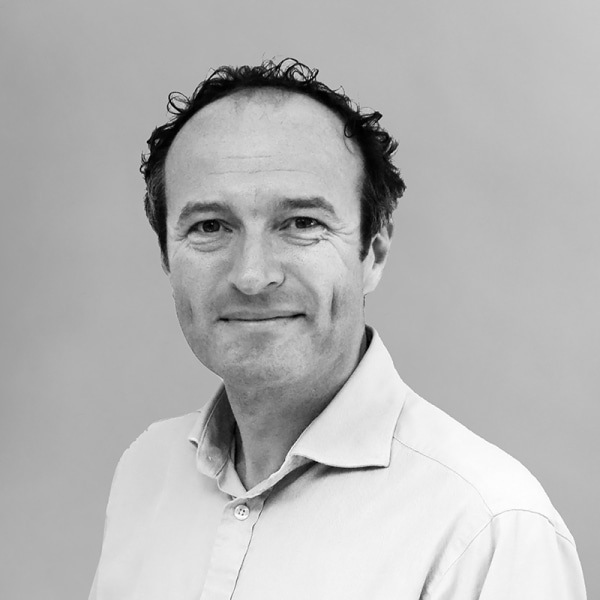 Before joining the practice, Tim worked at Eric Parry Architects for 14 years and developed particular expertise working on complex projects that combined high-quality new buildings with listed buildings in sensitive heritage settings. He has worked on a number of cultural, education and residential projects, including a £50m 281-unit Athlete's Village across six buildings at the London 2012 Olympics, and the refurbishment and conservation of St Martin-in-the-Fields Church in Trafalgar Square. His education projects include a new Music School for Brighton College, a 350-seat Recital Hall and Sports Pavilion for Wells Cathedral School in Somerset, and a Dining Hall for King's College School Wimbledon. Tim has also worked for practices in Berlin, Dresden, Newcastle and Glasgow, and on projects at the University of York, Oxford University and Benenden School. At Hopkins, Tim is currently working on a major mixed-use retail, office, and residential development in Mayfair, along with the new indoor sports buildings for Eton College, which replaces the complex of existing and outdated facilities and provides spaces for Swimming, Squash, Athletics, Gymnastics and Real Tennis.